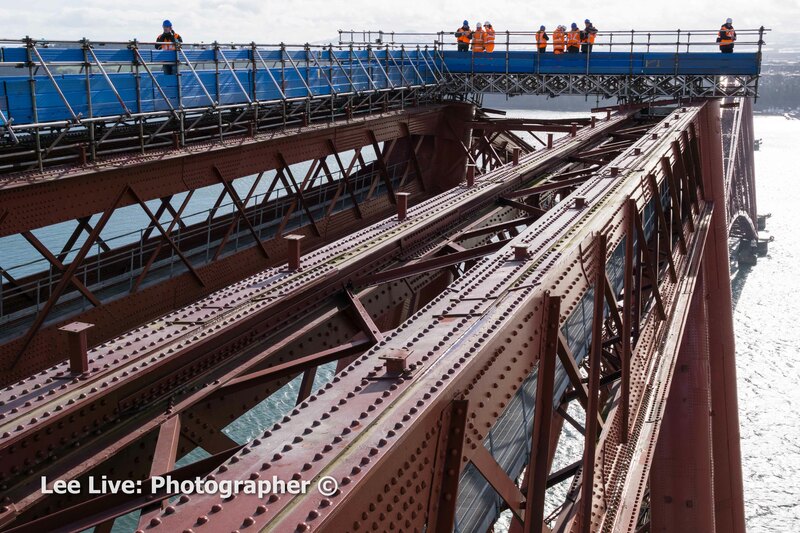 Back in 2015 to celebrate 125 years since the opening of the Forth Rail Bridge I got to take photographs from the very top. In my opinion it was way too windy for us to be up there. A couple of times I really did feel like I was about to be blown right off the darn thing. There was scaffolding on top that made a temporary rail to hold on to. But I got the shock of my life when I ventured to the edge of some planks to reach a rail at the side only to discover that it was protruding out some 12 feet or more over the side of the bridge and that there was nothing below me! Still, after overcoming my fears it was a great experience. And one that I am glad that I got to document.